The Jack Casady signature bass by Epiphone has long been a favourite amongst professionals around the world thanks to its sumptuous timbre, comfortable playing feel, and remarkable hardiness. As a tribute to that modern legend, the Epiphone Limited Edition 20th Anniversary Jack Casady Bass Guitar in Wine Red finish has been released, with accompanying custom gig bag, deluxe leather strap, and a hand-signed certificate of authenticity with photo to complete the package. 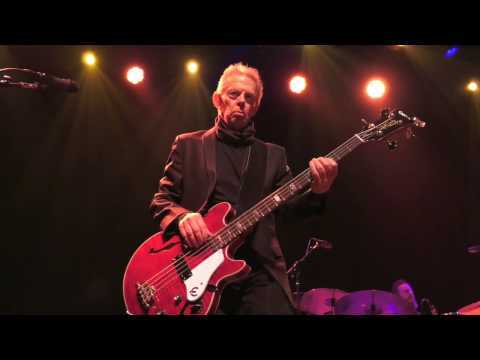 As a student of many instruments, and a founder member of the legendary Jefferson Airplane, Jack Casady has cemented his legacy as a musical great - most worthy of his induction into the Rock and Roll Hall of Fame. His playing style and tone is revered amongst fellow innovators including Brian Wilson and Paul McCartney, and this is all thanks to an early introduction to a short-scale semi-hollow bass. Working with Epiphone, Casady managed to craft an electric bass guitar that has the tonal complexity afforded by the hollowbody design with the power of a solidbody. The Limited Edition 20th Anniversary model features laminated maple for the body, which equips the body with a healthy resilience when coping with changes in temperature and humidity. The maple resonates freely and combines with the hollowbody design to instil a rich, resounding timbre infused with warmth. The flame maple veneer top is finished is a glorious wine red finish that is sealed with single-ply white binding. Fitted to the body is an awesome hand-set mahogany neck, which aids in note transference for optimised sustain. The 34-inch scale length ensures that strings are afforded the generous length to resonate and ring out beautifully. Shaped to the 1960's rounded bass profile, the neck feels substantial in the hand without becoming cumbersome. Paired with the neck is a luxurious rosewood fingerboard, which is home to 20 medium-jumbo frets that are adorned with pearloid trapezoid inlays to guide your way in style. Thanks to the 12-inch fingerboard radius, executing lighting fast licks and smooth string bends is a piece of cake. The Limited Edition Jack Casady Bass is equipped with the custom designed JCB-1 low impedance, low output pickup, which features a three-position transformer that enables you to shape the frequency response. Control over the pickup's output include a Master Volume, Master Tone with black "Top Hat" knobs and metal inserts, and Epiphone's custom 3-position VariGain Switch that offers additional tone sculpting across 50, 250, and 500 Ohms. Tailoring your output to suit your musical style couldn't be simpler, and from such a minimal setup, you'll be amazed by the tonal versatility on offer. The headstock is home to classic 19:1 ratio tuning machines, which uphold tuning integrity with steadfast precision throughout the most demanding of performances. Fitted to the body is a 3-point adjustable bridge that matches what Casady uses on-stage. The truss rod cover is a 2-ply black/white number with "20th Anniversary" silkscreened in white. The rear of the headstock features the "2017" model logo. To make it even more special, Epiphone have included a deluxe 20th anniversary gig bag, a deluxe 3.5-inch padded leather strap with the 20th anniversary logo, and a hand-signed certificate of authenticity to complete this brilliant package.